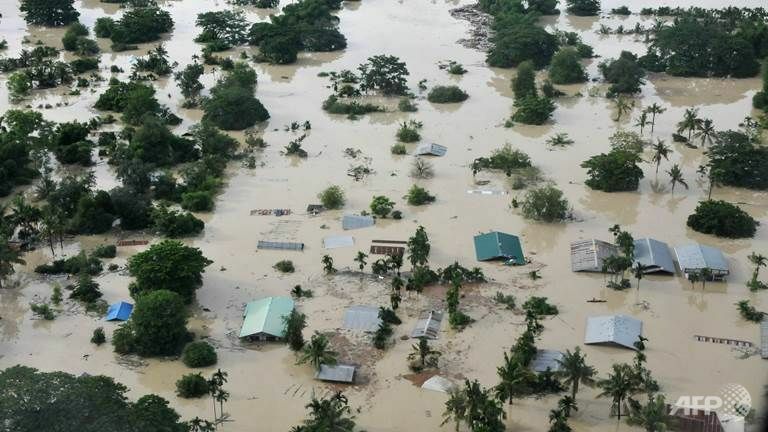 Images released by Myanmar's Ministry of Information show rescue boats evacuating people, while children and families cling to rooftops to escape rising water levels. However, attempts to reach many of those affected have been hampered by heavy rains. Three of the ten people killed in the floods have been soldiers aiding in the rescue effort, said Thein. On Sunday, the United Nations Resident and Humanitarian Coordinator's office in Myanmar said that they were following the devastation "with great concern." "The UN in Myanmar is mobilizing its partners, resources and capacity and is offering to provide support to the ongoing assistance delivered to the victims of the floods by the Government of Myanmar, civil society organizations, volunteers and other partners," said the organization in a statement. Many of those displaced have been relocated to temporary shelters, with both monasteries and cyclone shelters opening their doors to families, according to the National Disaster Management Committee (NDMC). Additional shelters would be opened for pregnant women and women with young children, said the Committee.